Cambridge Court World School abides by the philosophy : ‘70% of the learning is done in school’. As an institution, we don’t just provide excellent academic curriculums but also help explore the talent and potential of every student and maintain a track record of his/her interests and achievements. 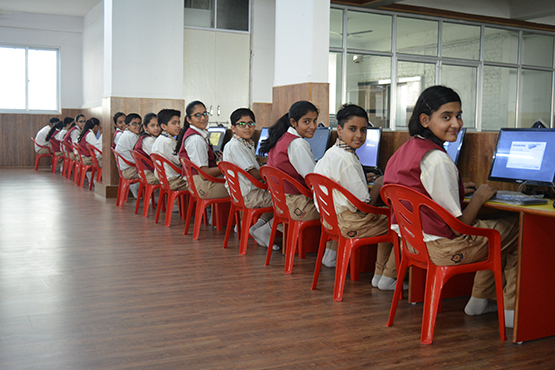 We work closely to guarantee a smooth transition in bringing in the latest creative innovations in education. To promote creativity along with education we here have elite faculties to give our children world class training in martial arts, dance, painting, football, skating and many other skills. A new milestone has been added to the school for promoting creativity in education - STEAM Education. In this word STEAM, S stands for Science, T for Technology, E for Engineering, A for Arts and M for Mathematics. The STEAM education is working wonders in unleashing the creativity of the children. Students are encouraged to come up with the designing of various models. They are given the kind of product which a company wants as problem statement and then children empathize with the customer and the company and come up with brilliant product designs keeping in mind both the customer and the company.